Nearly 630 million years of healthy life were lost in 2015 due to the diseases affecting the population across its 47 Member States in Africa, now amounting to a loss of more than 2.4 trillion international dollars ($) from the region's gross domestic product value annually. Around 47%, or $796 billion, of this lost productivity value could be avoided in 2030 if the Sustainable Development Goals related to these health conditions are achieved, WHO found. 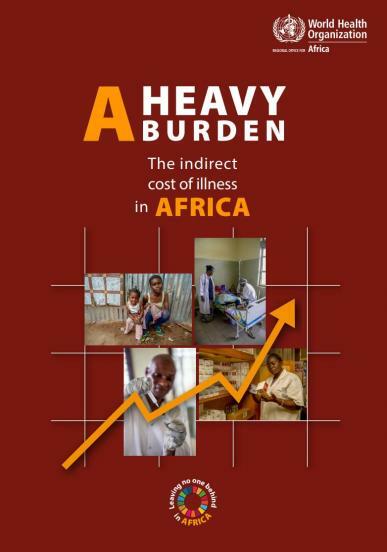 WHO Regional Director for Africa, Dr Matshidiso Moeti, writes in the foreword to A Heavy Burden: The Productivity Cost of Illness in Africa, which was launched during the second WHO Africa Health Forum this week in Cabo Verde. As a target of Sustainable Development Goal 3, universal health coverage would require countries in the WHO African Region to spend, on average, at least $271 per capita per year on health, or 7.5% of the region’s gross domestic product. This report illustrates how achievement of the critical health SDG targets, including universal health coverage, would contribute to poverty eradication efforts on a large scale, reduce disparities in lifespan, tackle social exclusion and promote political stability and economic development in the WHO African Region. It also provides much-needed evidence that ministries of health can use in dialogue on resource allocation with ministries of finance. It adds to the body of evidence showing that health is a strategic investment for development. Grace Kabaniha, Health Economist in the WHO Regional Office for Africa.